Bryan Cole of NAI Keystone advertises in the Medical Record. 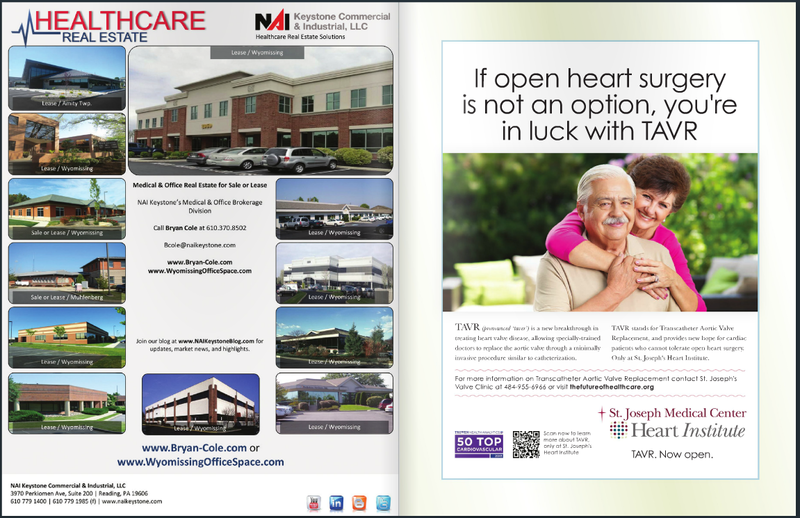 Check out our Ad located in the Medical Record a publication for Berks County Medical Society. or via the link below. Interested in Leasing, Buying, Selling, or just talking about Office or Industrial Real Estate? Give me a call at 610 370 8502. This entry was posted in Articles by Bryan Cole, Local News & Events, Market Trends & Reports, Medical Real Estate, News & Events, Office Real Estate and tagged Berks CMS, Bryan Cole, Magazine Advertising, Medical Record, Medical Space, NAI Keystone, Office Space. Bookmark the permalink.